Wide grip spring action. Used with wide or narrow band mops. 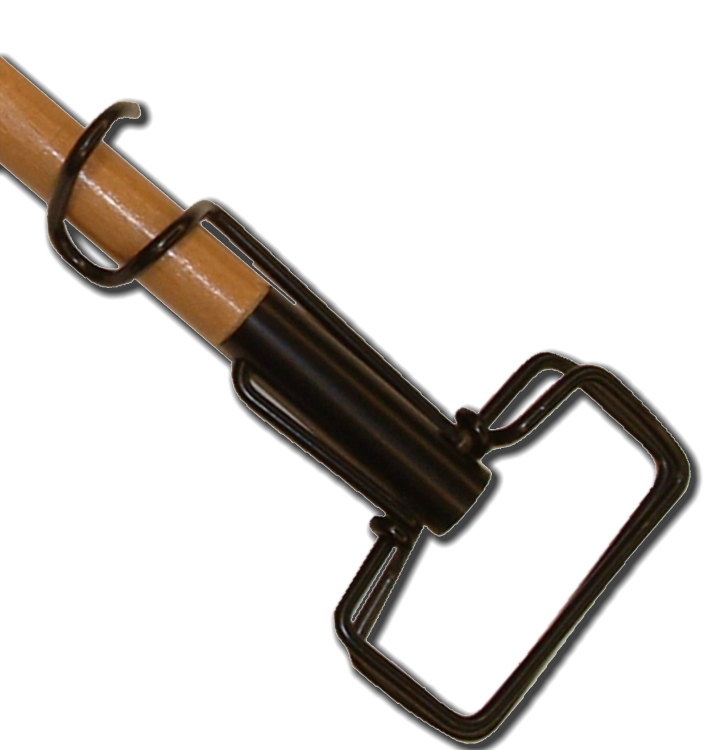 Hardwood handle. Material: Wood / Size: 1 1/8" x 62 1/2"